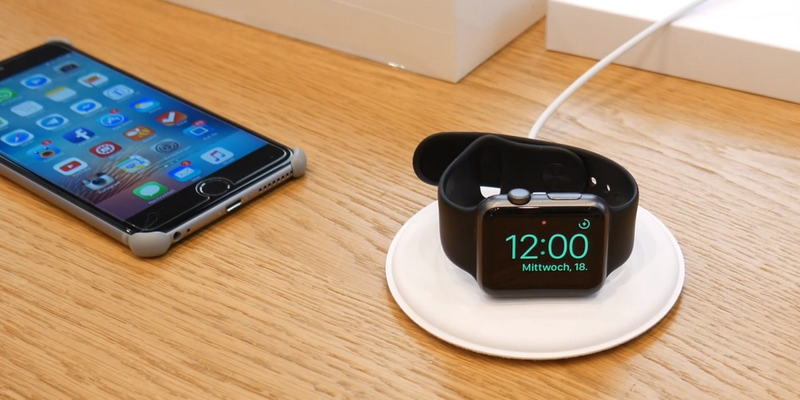 It seems that rumors that Apple was about to release a dock for Apple Watch owners were bang on the money, following reports that some Apple stores are now selling them for $79. As reported by 9to5Mac, the docks uses a magnetic attachment that allows it to either be laid flat or stood upright in ‘Nightstand’ mode. While the docks still aren’t showing on Apple’s website, some people have been able to buy them in retail stores and post hands-on videos, like the one below. You will need to understand German to listen to that one though. Presumably, it won’t be too long before Apple makes them available online, though if the $79 price seems a bit steep for you, there are third-party options available at less than half the price. Update: The dock is now showing as available for ordering online and will ship in one business day. Read next: TNW Conference USA: Watch live now, wherever you are!